In the 2006 suspense fantasy, V for Vendetta, Hugo Weaving and Natalie Portman are allies in a revolution against a corrupt government. V for Vendetta , originally written by Allen Moore and David Lloyd takes place sometime after 2020. It is post a major war between England and the United States. The release of this movie in 2006 takes a stab at America. President Bush said there were weapons of mass destruction in Iraq and years later America is still wondering where they are. Still we recruit soldiers to go over to Iraq and risk there lives every minute, every hour and every day. Britain used a similar tactic creating a virus and distributing it to three major water supplies killing thousands of its citizens. There is commentary on the war on terror. He is known to the people in charge as code V. V is framed as a terrorist who continues to throw oppositions towards the government. He goes against everything the government and its party stands for because they are corrupt and deceitful. To the people he is known not as a hero, but as a force of justice they have been waiting for. V stands by the people and believes that, “people should not fear the government, the government should fear the people.” It is extremely easy to see injustices and not do anything, but V does not leave that option open. The British run their country as a totalitarian society as indicated by the curfew, control of the media, and the image of the high chancellor Adam Sutler. The chancellor’s image is always very large and overwhelming to the human eye, and this is where the fear of those in power takes place. The government uses fear as a tactic because they believe it leads to an obedient society. There is a parallel between the Count of Monte Cristo and V for Vendetta in revenge being the key emotion. Revenge becomes an obsession in both pieces. In the Count of Monte Cristo, Dantes acquires power and wealth; he disguises himself as he seeks out all who helped imprison him. In V for Vendetta, V seeks out those who led to his creation at the Lock hill camp. That is when V finds out that force requires opposite force and without it there would be no way to take those in power down. “Violence can be used for good. “Revenge is best served cold” (Christiana). The overall film is white and black except for flowers and fire. The film gives power to both beautiful and dark things. The role of music is both powerful and used constructively. Although banned because it is said to cause emotion, music rings throughout the speakers when V is up to his antics for new world order. The actions are echoed by the music’s huge crescendo were followed by the bombing of Parliament and the Lady Justice. Music is also used at the end of the movie when the songs “street fighting man” by the Rollins Stones and Malcolm X’s in the end- “Violence in self defense” are played. Two themes that play out in the film are: the power of love to change people in the world and the power of ideas to change the world. V is the male lead who is known as the terrorist in the film who wants fairness, justice, and freedom for Britain. When did that become a bad thing? V’s house consisted of preserved arts and artifacts from around the world. Evey who plays the female lead works for a television company named BTN whose slogan is, “this is BTN, we merely report, not fabricate it, that’s the government’s job” referring to the news. The media’s role in the British society is huge because those in power use the media as an instrument for controlling ideas instead of expressing free ideas. Evey is completely aware of the injustices that play throughout the media. She explains how she can tell when a broadcaster is lying with the action of rapid eye blinking. Her parent’s became revolutionaries when their son dies at Saint Mary’s for undisclosed reasons. They were later killed because they were seen as a threat to the “progressing” Britain. The film doesn’t succeed as a romantic love story because V wanted Evey to be with him but could not let go of the revenge. However, the movie does succeed as a story about the love of humanity because in the process of attaining revenge, V helps the British people open their eyes. Another theme is the power of ideas to change the world. V says, ”beneath this mask there’s an idea, ideas are bullet proof.” V knew of the corruptions of the high chancellor Adam Sutler, Mc Creedy and other members of the government. They were the cause of what he had become. They were the same people who were controlling the media, using slogans to brainwash the people, and implementing curfew. V ultimately takes action against the corruptions of their repressed society. V takes action by destroying the Lady Justice which symbolized justice on the 5th of November, a date with historical significance dating back four hundred years ago. A year later he destroys Parliament, a symbol of the government, which indicated that change is needed. Evey takes action by pushing the lever sending the explosives towards Parliament. The inspector, Mr. Finch takes action by uncovering the truth while searching for the faceless terrorist V, which then leads him to not shoot Evey. They choose to fight against the regime that placed fear in their hearts. How dare the president of a country say that fear is the best tool to keep his country in order? The Chancellor strikes against anything or anyone to gain control. Chancellor Sutler discriminates against anything he does not like. He is one minded and runs his society like that way. There is no loyalty. In the situation of Mc Creedy, next in line to the “thrown,” he shoots the Chancellor with no remorse in a deal he makes with V to spare his own life. Yes, this can be considered a film about revenge but it’s learned throughout the film that violence can be used as a means of justice. 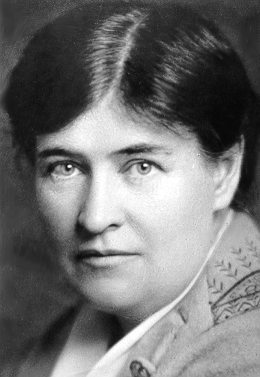 A celebrated author, daughter and sister to six siblings, Willa Cather (who was originally named Wiella) was born on December 7, 1873 in Winchester, Virginia. Cather’s family acquired a large, prosperous farm in Nebraska when she was nine. Psbs.org describes the move as taking a toll on Willa. The coming years would begin to introduce clarity to her life. At eleven, she began delivering mail to the farms around Red Cloud, Nebraska. On her mailing routes she discovered the lives and talk of her immigrant neighbors. Unbeknownst to her, these stories would be later used in her writings. She learned the French language, had access to an extensive personal library, and graduated at the age of sixteen. Soon after she entered the University of Nebraska in Lincoln, she began her life as a journalist. While in college, one of her professors decided to publish one of her essays in a local newspaper. It was exactly at that moment that she decided that she would spend her life writing. What type of writing would she venture into? What would be her inspiration for writing? In order to answer both of these questions she would have to find her voice. Willa Cather used her travels in life as inspiration for her writing. As she said, “Most of the basic material a writer works with is acquired before the age of fifteen.” When Cather lived in Red Cloud, NE she lived amongst immigrants. Immigration was an important topic in Cather’s time. Her literature is peppered with their talk, values, lifestyle and culture. She captured the immigrant life by including them in her novels. Often her major characters are immigrants who exhibit qualities such as tenacity, resilience and hard work. In My Antonia Cather talks about enduring people who leave everything they have ever known in pursuit of happiness and success. The main character in this novel, Antonia Shermeda, is an immigrant from Bohemia. She is based on Cather’s childhood friend named Annie. she made while living in Nebraska. In the novel, the title character had a challenging and difficult life but remained strong and independent through it all. Immigration is a hot button issue in current American society. Immigrants from the Caribbean, Asia and the Middle East have changed the face of America today just as their predecessors from Eastern Europe did in the late nineteenth and early twentieth century. The stories haven’t changed. They come to America in search of a better life, in search of success. They are willing to work hard to attain both. Cather admired the immigrants of her generation, and it’s safe to say she would feel comfortable in contemporary America. The immigrant story is one of those two or three human stories that Cather said keeps repeating themselves. Willa Cather is considered one the great American authors because she wrote about America. She knew using a style similar to the landscape describing “simple and beautiful.” She is a inspiration to writers and journalist alike because she wrote about the things that mattered to her and her fellow countrymen. Contemporary journalists take cue. – 1931 Publication of Shadows by the Rock, which becomes the best-selling book in the country. It was about 2 o’clock in the morning when Maria found out that her brother had been shot; she immediately began to hyperventilate. She was on the phone in her room talking to her cousin about plans for the weekend. Suddenly she heard a “pop noise.” She ignored it until she heard a car speeding off. Then she heard: “I’ve been shot, I’ve been shot.” As she approached the kitchen she found her mother crying hysterically on the ground in disbelief that her son had been shot. Sadly, she wasn’t completely surprised because she knew the life that Dubson lived and did not approve with any of it. He lived a dangerous lifestyle. During the police interrogation, Dubson revealed the sequence of the night’s events. Somebody stopped in a white jeep and asked for directions. As Dubson was walking towards the car, the passenger pulled out a gun and said, “Run your pockets.” Dubson began to run the other way, while the assailants began to fire. Two or three shots were fired. One of the bullets pierced Dubson’s left leg, but he was unaware until he was in the clear. Then he screamed, “I got shot, I got shot.” He was unable to give a description of the perpetrators. “O my God, o my God,” Luce screamed as she ran frantically ran around the house. “Call the ambulance,” Dubson asked apologetically, but his father claimed he wouldn’t call the ambulance, he should just die. Hector had zero understanding for the life that his son had chosen to live. As this struggle continued between father and son, Maria watched her only brother bleed out on the same tiled floor she watched her nephew take his first steps the day before. Maria took matters into her own hands and ran into her parents rooms and grabbed one of her father ties to wrap the wound, unaware if the bullet was still lodged in his leg. Paige, Dubson’s other sister, was awaken by the ting of her cell phone. “Dubson got shot, Dubson got shot,” she heard, followed by heavy cries, then dead silence. Paige quickly called her boyfriend to come baby-sit their toddler son. When she arrived on the scene, she saw her brother on the gurney by the ambulance, her father ranting madly, her sister crying hysterically, and her mother standing in the kitchen. Her father repeatedly told her that this was no place for her and that she should not have come. She replied there was no way she wouldn’t want to be by their side during this tragic event. Often in college, we are asked to describe ourselves in one word. While that may be a good critical exercise in high school and college, it is ludicrous to think that a person can ever really be summed up in one word because anyone of us is truly more than that. “Wow that’s a good one,” Ryan Hendricks answers to the standard “describe yourself in one word” question. It took him at least two minutes to finally say that he couldn’t, but could instead give me snippets of his life. Ryan’s future plans include a degree in law. The decision to go into law is strictly because he feels it in his nature to challenge society’s wrong doings. He describes himself as a young man with strong morals. He is the first person in his family to go to college. He describes the path to where he wants to be ultimately in life as an open challenge which he is willing to undertake. After living in England when he was 18 he describes the trip as a life altering experience. The trip to England was impromptu. It just happened and he is still so happy that it did because a lot changed for him. The big picture of his life became less about stacks of cash and more about the search for happiness and contentment in his life. He came to this understanding while in England because for a year he was completely out of his norm learning how to live all over again. While observing how the English lived he realized difference in the culture, the work week, and the family dynamics. Many of his observations occurred at the pubs, where he engaged in conversations with the locals. Through his interactions with them, he learned work and money were less important in this world, and that family was highly valued. During his years in high school, Ryan belonged to a club called Leadership. As a Leadership member for four years he enjoyed participating in community service in the town of Five Towns, Long Island. He volunteered as a tutor and a server at a soup kitchen. Tutoring sessions included himself and a child roughly around the age of nine or ten studying American History in-depth. He describes the different children that he worked with as “cooperative.” One of his most fond memories is the soup kitchen’s Thanksgiving Dinner Dance. The homeless people (he served) and the other volunteers gathered together with food and song to have a good time. Edging towards the end the interview, Ryan had an epiphany and went back to a question I asked earlier. He had finally decided on the answer to the high school/college critical question “Can you describe yourself in one word?” His one word: “adventurous.” It’s a pretty good word for Ryan. He lived in a foreign country for one year by himself, he is pursuing a college degree-the first in his family to do so, and he is seeking true happiness, not just financial security. Ryan’s mental picture of happiness includes a little of everything. Nothing in abundance. He just wants to live comfortably and happily.